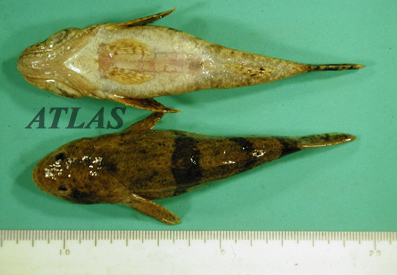 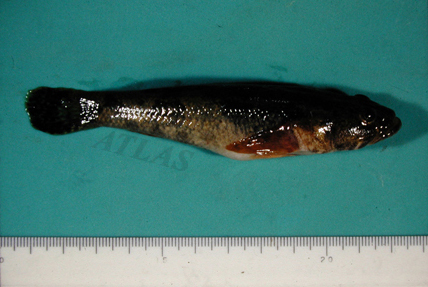 A freshwater fish, Odontobutis obscura interrupta, playing the role of the second intermedtae host for Echinostoma hortense. 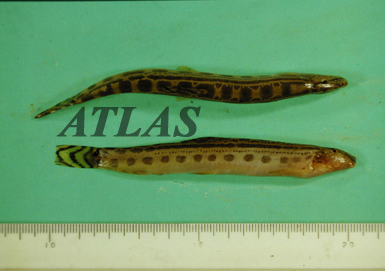 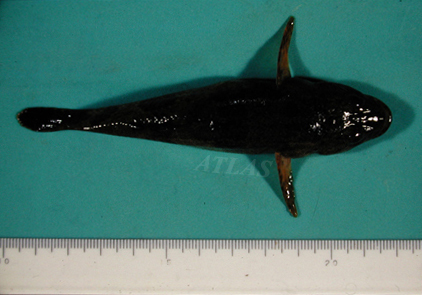 A species of freshwater fish, Odontobutis obscura interrupta, a second intermediate host for Echinostoma hortense. 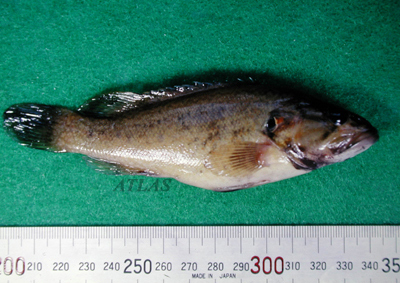 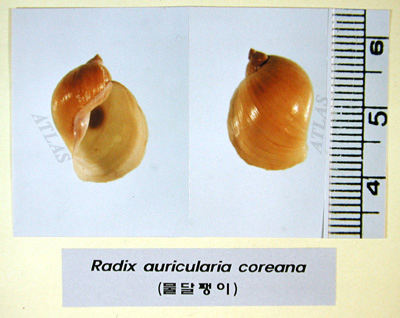 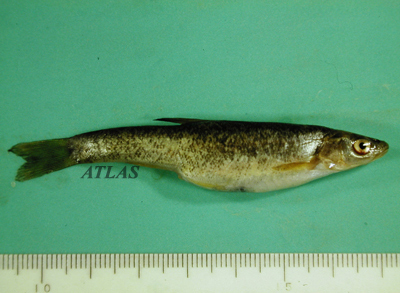 Coreoperca herzi, Korean brook perch. 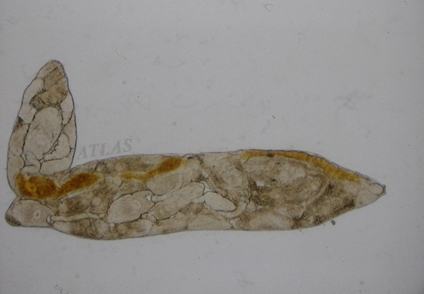 Odontobutis obscurus interrupta, dark sleeper. 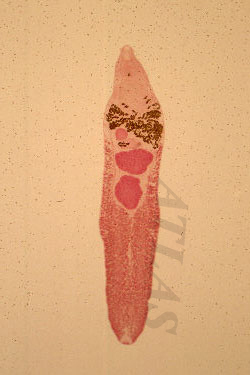 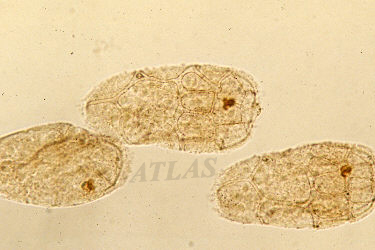 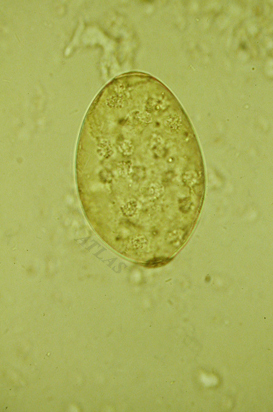 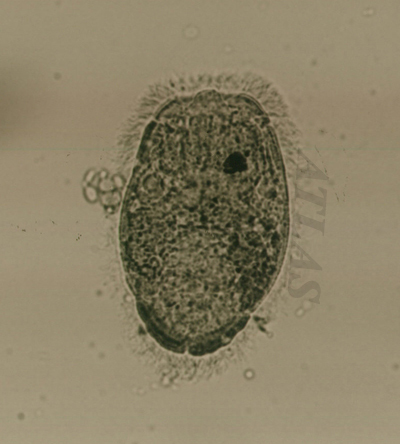 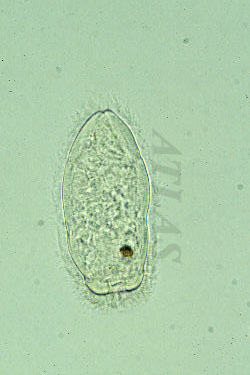 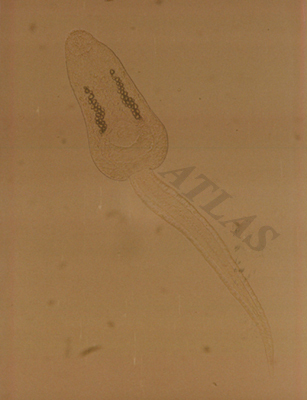 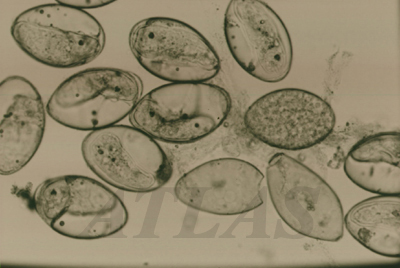 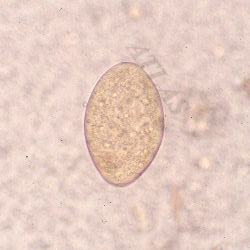 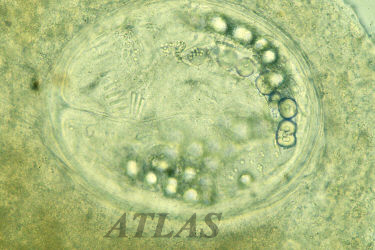 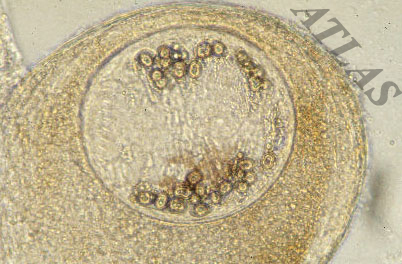 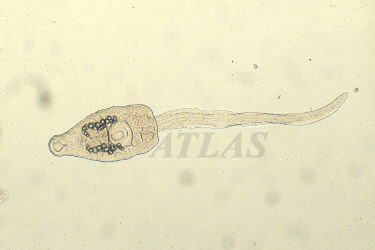 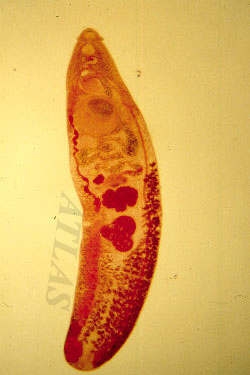 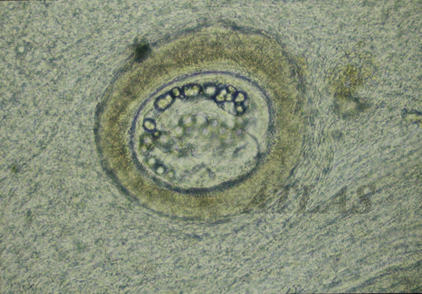 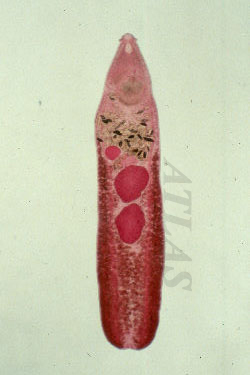 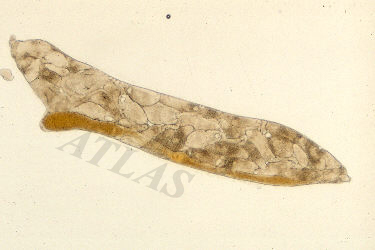 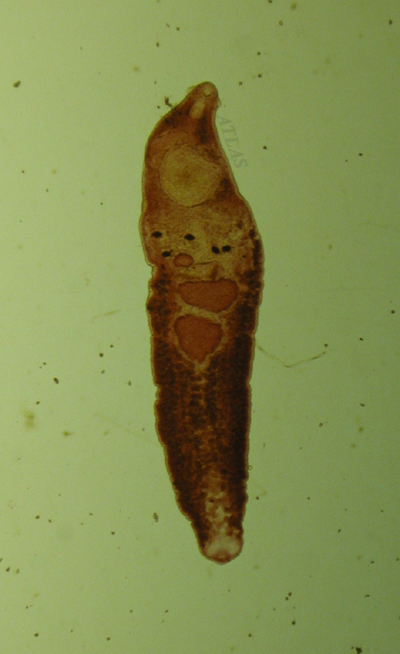 An adult fluke (arrow) of Echinostoma hortense attached at the mucosa of the gastric pylorus of a patient, seen through gastrofiberscopy. 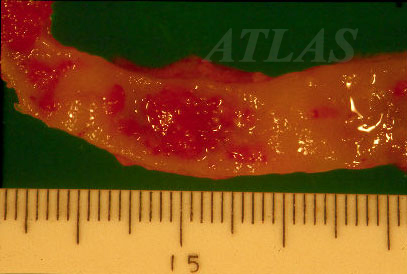 See some bleeding from the infected site. 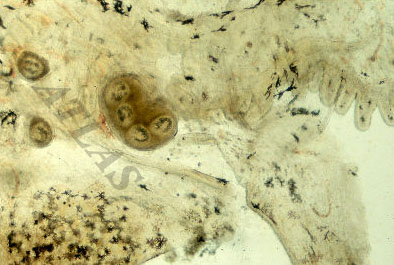 Mucosal mastocytosis in the duodenum of a rat inected with Echinostoma hortense on 35 days. 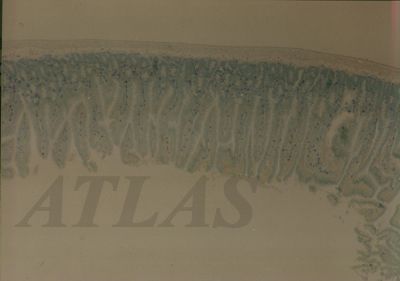 Blue spots represent mast cells stained with alcian blue and safranin(X 40). 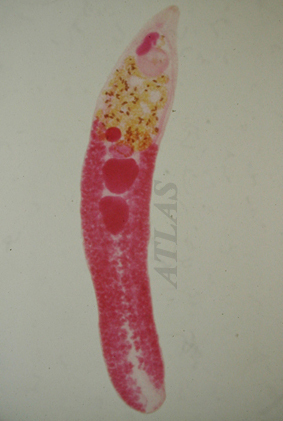 Mucosal mastocytosis in the duodenum of a rat infected with Echinostoma hortense on 35 days. 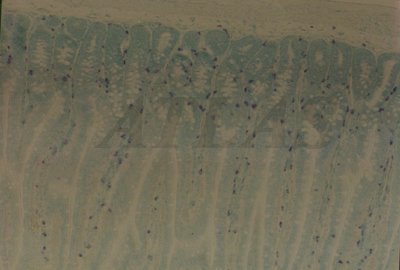 Blue spots represent mast cells stained with alcian blue and safranin(X 200). 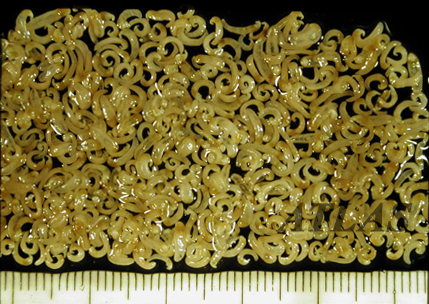 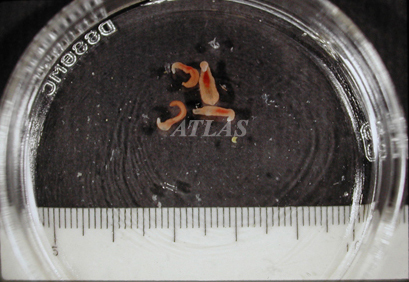 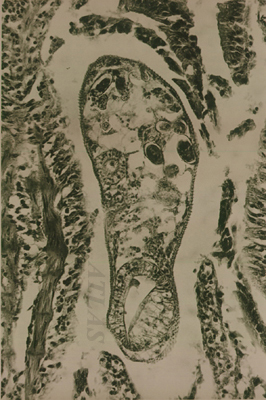 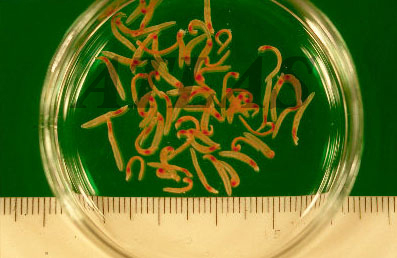 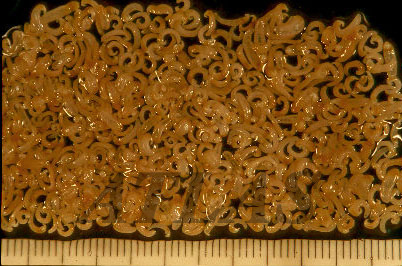 The rat intestine infected with E. hortense.